PIM PIM PIM! My dad ‘horned’ at the gate. The maigadi rushed to open the gate. BABA YIN TI DE O! K’E YA S’ORA YIN! You dad has arrived. You better mind yourselves my mum yelled in her normal manner. Actually, did I say yelled? No. She bellowed. The story of my mum’s voice is one for another day. I was my dad’s favourite child. Normally, when his car was at the gate, the other children would scamper to their bedroom. My dad did not shout but his authority was quiet and firm. I, however, would go downstairs to wait for him. Kai. I loved my dad. My mum would yell for us to warm his food and bring it to him while she and he would sit and gist about their day. My mum and dad were childhood sweethearts kind of. My mum’s family and dad’s family were friends and colleagues and fellow Methodist Church Obun-Eko stalwarts. They grew up together amd worked together. While my dad was posted all the various ports – Apapa, Calabar, Port Harcourt, Warri and the headquarters at Marina, my mum was permanently at Tin-Can Island. They always had a lot to talk about, my parents. Companionship on fleek was their marriage. On this day, I could not go downstairs as per my normal practice. I stayed glued to the WC in the loo upstairs. After a while, I heard my dad say Bunmi da? Where is Bunmi. 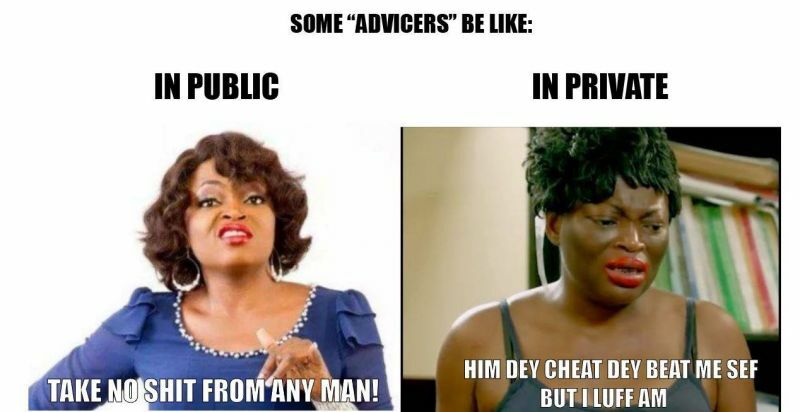 OLUBUNMI O! He whistled my name. I was the only child of his whose name he whistled. The others, he called them by their Yoruba names. We did not have Oyinbo names anyway so, some of us gave ourselves Oyinbo names. I called myself Josephine because my dad was Joseph and well… I loved him and naming myself after him was the logical thing to do wasn’t it? 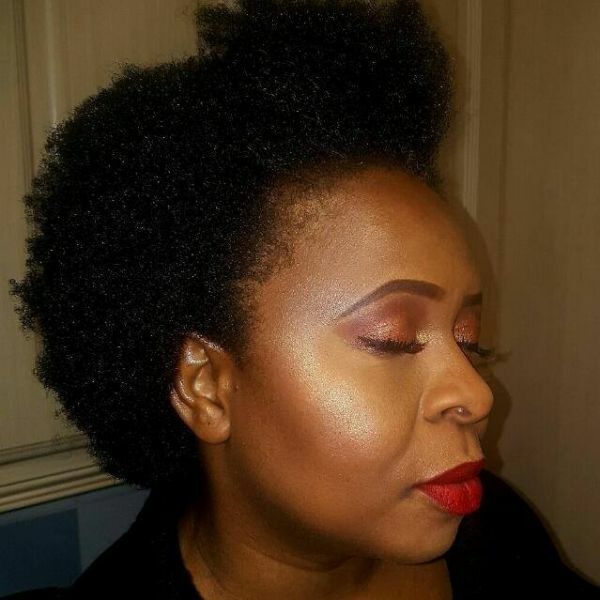 My sister Yemisi called herself Mrs Konji – story for another day. I don’t remember if Seun and Buki gave themselves names but Funmi called herself Nadine – from that series about school girls in an English boarding secondary school. E kaabo sa. Welcome sir I said. Ehen. Ose. Thanks. Mo ti ba Prof soro. O ni k’a wa ni weekend yi. I have spoken to Prof. He said we should come this weekend. Nervously, I sat down. 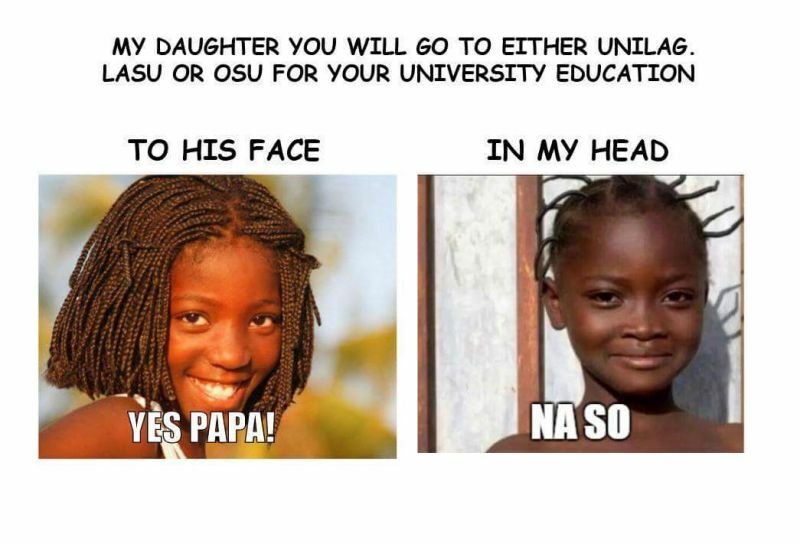 Daddy, mi o mu Unilag sa. I did not choose Unilag sir. Kilo mean? What do you mean? I nervously explained to him that I had changed my choice from Lag to Jos. Ha. ok. Ma’a lo ri kozin mi ni Lasu nigbayen. I will go and see my cousin at LASU then. Daddy, mi o mu LASU na sa. I did not choose LASU sir. 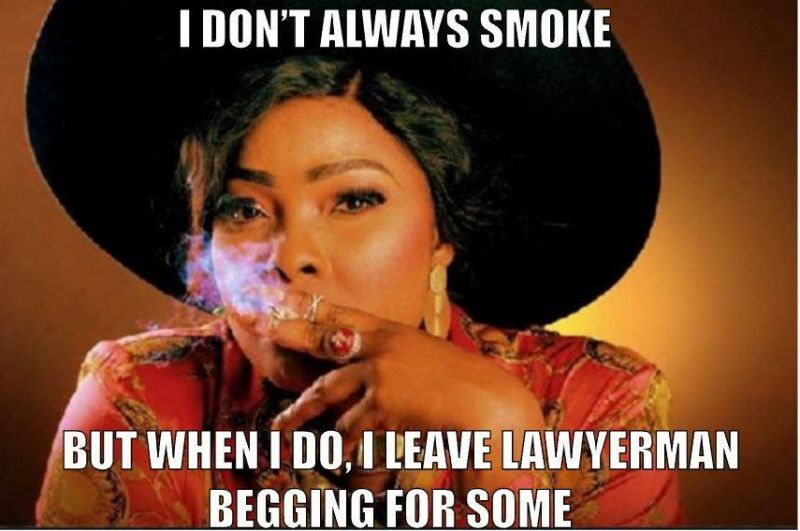 BUNMI! Kilode ti o fi changi re? Ki lo changi re si? Unijos sa. Haba! Isokay. Ma lo ri old boy mi ni OSU then. Ma so fun mi wipe o change Osu na. It ok. I will go and see my old boy at OSU then. Don’t tell me you changed it too. Beeni sa. Mo change e sa. Yes sir. I changed it sir. Si Jos. To Jos. While this exchange was going on, my mum was hun-ing and ha-ing on her seat. Then, when she heard that I had changed everything to Unijos where we knew no-one, she erupted! OMO KOMO! 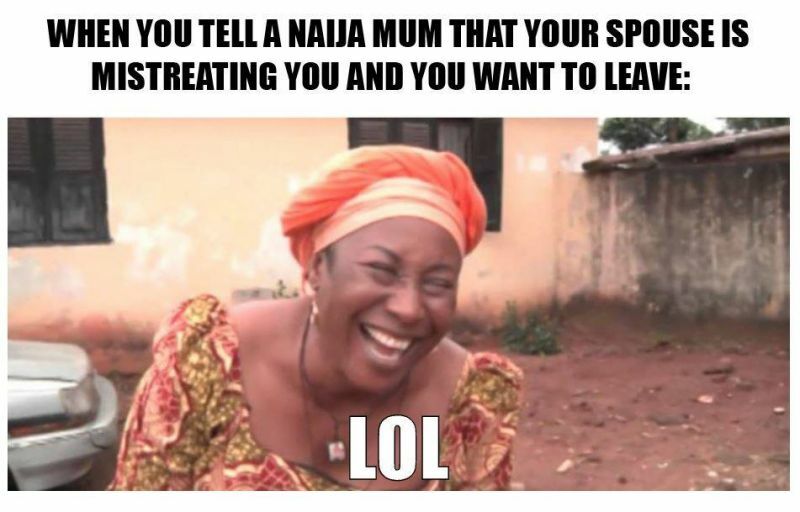 OMO BURUKU! OMO A SE IRU E FUN E SOGBO! O FE YA EMI ATI BABA E NI WERE ABI? Rubbish child! Bad child! Your children will do similar to you. You want to make me and your father mad abi? Rubbish that needs to stop in 2017. Smiling all through. I can even imagine the scene, you brought it to life.